Screws, nuts, washer, tapered pins, rivets, E-clips, nails, grommets, hooks, springs, etc. Description: 18-8 stainless steel slotted fillister head machine screw. 6 pieces per pack. #0-80 x 1/2" long. Description: 18-8 stainless steel slotted fillister head machine screw. 6 pieces per pack. #3-48 x 3/8" long. Description: 18-8 stainless steel washer comes 20 pieces to a bag. #8 size is .1745" I.D. x .375" O.D. x .031" thick. #0-80 X 5/8" Machine Screw 18-8 6-Pack. Description: 18-8 stainless steel slotted fillister head machine screw. 6 pieces per pack. #0-80 x 5/8" long. Description: 18-8 stainless steel slotted fillister head machine screw. 6 pieces per pack. #3-48 x 1/2" long. Description: 18-8 stainless steel slotted fillister head machine screw. 6 pieces per pack. #1-72 x 1/8" long. Description: 18-8 stainless steel slotted fillister head machine screw. 6 pieces per pack. #4-40 x 3/16" long. Description: #0-80 brass machine screw nut. 10 pieces per pack. .156" across flats x .046" thick. Description: 18-8 stainless steel slotted fillister head machine screw. 6 pieces per pack. #1-72 x 1/4" long. Description: 18-8 stainless steel slotted fillister head machine screw. 6 pieces per pack. #4-40 x 1/4" long. 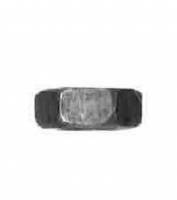 Description: #1-72 brass machine screw nut. 10 pieces per pack. .156" across flats x .046" thick. Description: 18-8 stainless steel slotted fillister head machine screw. 6 pieces per pack. #1-72 x 3/8" long. Description: 18-8 stainless steel slotted fillister head machine screw. 6 pieces per pack. #4-40 x 3/8" long. Description: #2-56 brass machine screw nut. 10 pieces per pack. .187" across flats x .0625" thick. Description: 18-8 stainless steel slotted fillister head machine screw. 6 pieces per pack. #1-72 x 1/2" long. Description: 18-8 stainless steel slotted fillister head machine screw. 6 pieces per pack. #4-40 x 1/2" long. Description: #3-48 brass machine screw nut. 10 pieces per pack. .187" across flats x .0625" thick. Description: 18-8 stainless steel slotted fillister head machine screw. 6 pieces per pack. #1-72 x 5/8" long. Description: 18-8 stainless steel slotted fillister head machine screw. 6 pieces per pack. #4-40 x 3/4" long. Description: #4-40 brass machine screw nut. 10 pieces per pack. .250" across flats x .093" thick. 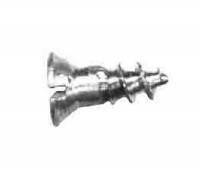 Description: 18-8 stainless steel slotted fillister head machine screw. 6 pieces per pack. #2-56 x 1/8" long. Description: 18-8 stainless steel slotted fillister head machine screw. 6 pieces per pack. #5-40 x 3/16" long. Description: #5-40 brass machine screw nut. 10 pieces per pack. .312" across flats x .109" thick. Description: 18-8 stainless steel slotted fillister head machine screw. 6 pieces per pack. #2-56 x 3/16" long. Description: 18-8 stainless steel slotted fillister head machine screw. 6 pieces per pack. #5-40 x 3/4" long. Description: #6-32 brass machine screw nut. 10 pieces per pack. .312" across flats x .109" thick. Description: 18-8 stainless steel slotted fillister head machine screw. 6 pieces per pack. #2-56 x 1/4" long. 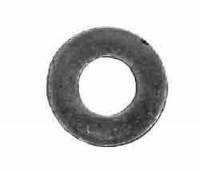 Description: 18-8 stainless steel washer comes 20 pieces to a bag. #0 size is .0625" I.D. x .156" O.D. x .020" thick. Description: #8-32 brass machine screw nut. 10 pieces per pack. .343" across flats x .125" thick. Description: 18-8 stainless steel slotted fillister head machine screw. 6 pieces per pack. #2-56 x 3/8" long. Description: 18-8 stainless steel washer comes 20 pieces to a bag. #1 size is .078" I.D. x .187" O.D. x .025" thick. 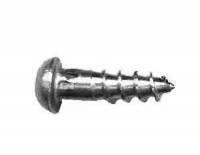 Description: Brass slotted round head wood screws come 100 pieces per pack. #6 x 3/8" long. Description: 18-8 stainless steel slotted fillister head machine screw. 6 pieces per pack. #2-56 x 1/2" long. Description: 18-8 stainless steel washer comes 20 pieces to a bag. #2 size is .093" I.D. x .250" O.D. x .025" thick. Description: Brass slotted flat head wood screws come 100 pieces per pack. #6 x 3/8" long. Description: 18-8 stainless steel slotted fillister head machine screw. 6 pieces per pack. #2-56 x 3/4" long. Description: 18-8 stainless steel washer comes 20 pieces to a bag. #3 size is .109" I.D. x .250" O.D. x .031" thick. Description: 18-8 stainless steel slotted fillister head machine screw. 6 pieces per pack. #0-80 x 3/16" long. Description: 18-8 stainless steel slotted fillister head machine screw. 6 pieces per pack. #3-48 x 1/8" long. Description: 18-8 stainless steel washer comes 20 pieces to a bag. #4 size is .125" I.D. x .312" O.D. x .031" thick. Description: 18-8 stainless steel slotted fillister head machine screw. 6 pieces per pack. #0-80 x 1/4" long. Description: 18-8 stainless steel slotted fillister head machine screw. 6 pieces per pack. #3-48 x 1/4" long. Description: 18-8 stainless steel washer comes 20 pieces to a bag. #5 size is .135" I.D. x .312" O.D. x .031" thick. Description: 18-8 stainless steel slotted fillister head machine screw. 6 pieces per pack. #0-80 x 3/8" long. Description: 18-8 stainless steel slotted fillister head machine screw. 6 pieces per pack. #3-48 x 5/16" long. Description: 18-8 stainless steel washer comes 20 pieces to a bag. #6 size is .149" I.D. x .375" O.D. x .031" thick.